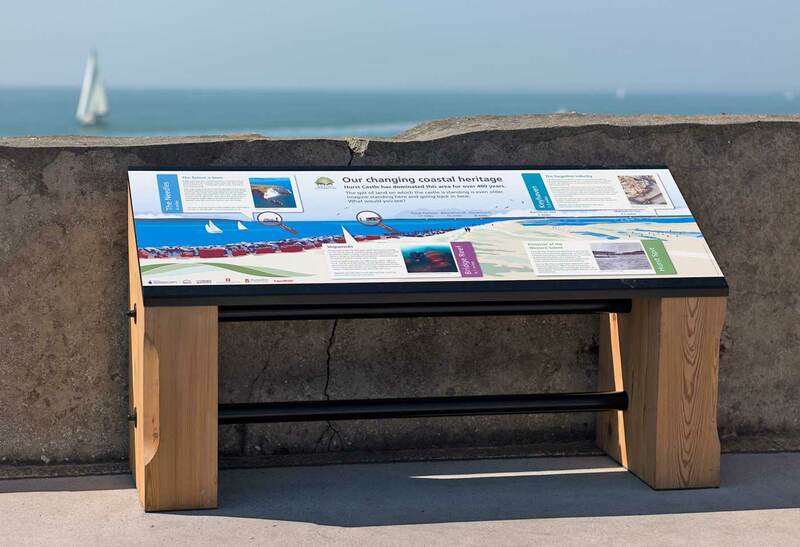 New panoramic orientation signs address the eastern and western vistas of the west entrance to the Solent, New Forest National Park. 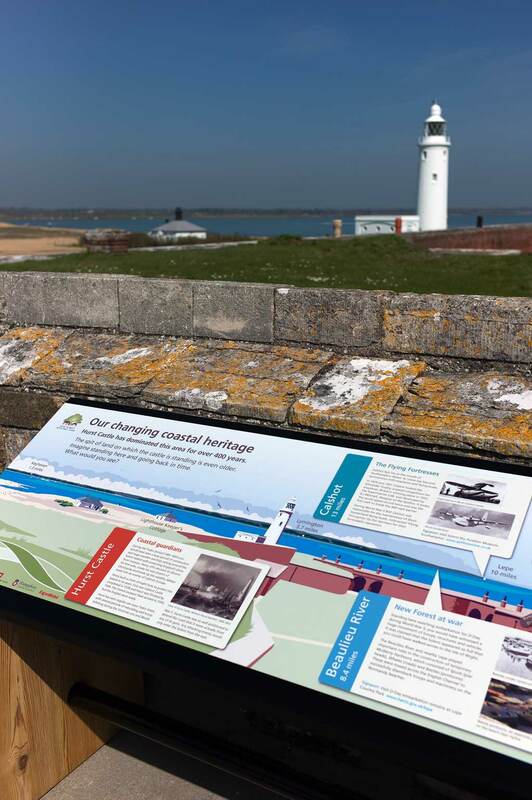 Great care with detailing technical specifications and choice of materials was taken to maximise longevity of these signs in this harsh maritime environment. 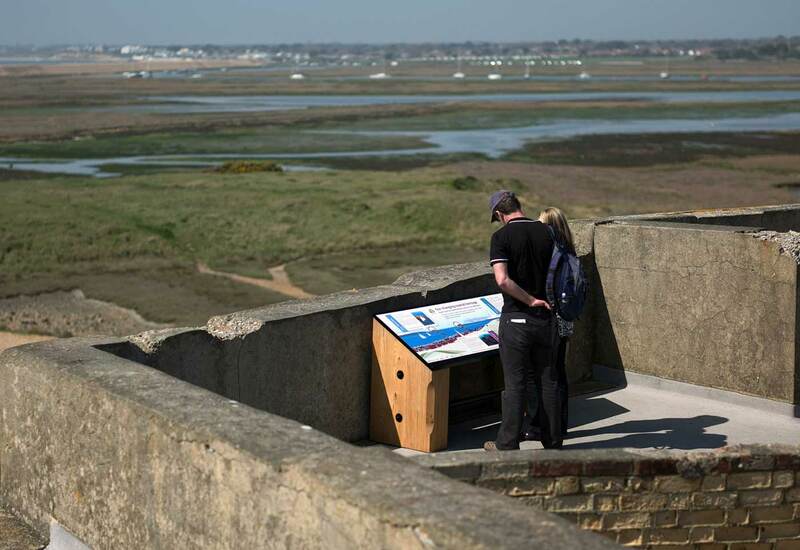 The interpretation design featured a range of suitable landscape illustrations that were drawn in house by the ABG Design team.